A total of four (4) people went home grinning from ear to ear after winning a whopping combined total of more than P700,000 worth of home appliances during the thrilling “Bag It or Drop It” game event held Last November 3 at the Robinsons Place Antipolo in Antipolo City. 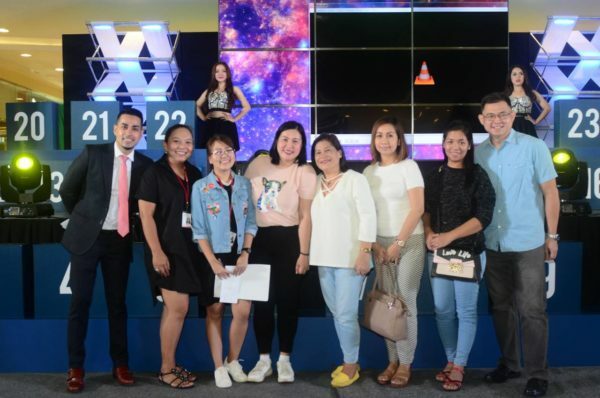 The four winners —from Metro Manila, Luzon, Visayas and Mindanao—bagged various appliance showcases awarded by Robinsons Appliances during the culminating event of the much-anticipated “Bag It or Drop It” game. The game was the culmination of the “Bag It or Drop It” raffle promo organized by Robinsons Appliances for its loyal Robinsons Rewards Card members. The happy winners were Loida Lanzaga, who bagged P110,000 worth of Home Entertainment Showcase, Ria Palafox who bagged more than P200,000 worth of Home Appliance Showcase, Jeanette Gascon and her P160,000 worth of Home Appliance Showcase and, Catherine Sescon, who said “I was both nervous and excited and I got confused as to what box I will bag or drop. I just left it all to God, and thank God I got lucky,” was easily the biggest and proudest winner with a massive P250,000 take home, also of a Home Appliance Showcase. Each player’s turn was indeed nerve-wracking for the throng of people who waited with bated breaths as to whether they will “Bag It” or “Drop It.” In the end, it was all heart-pounding excitement from the first to the last winner. “The ‘Bag It or Drop It’ promo was part of our customer engagement activities that involved customer participation. “We are doing these types of event to make our customers feel that they are involved in whatever activities we do,” explains Jovito Santos, Group General Manager of Robinsons Appliances Corp.
Santos added that their promotional activities will continue to 2019, and likewise announced that Robinsons Appliances will be having the second set of its “Race to a Minute” raffle promo this November. 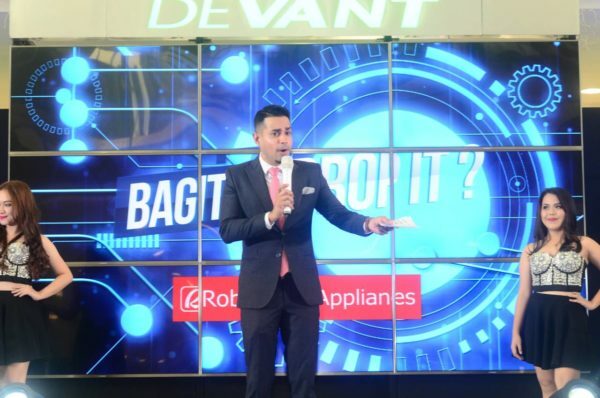 The “Bag-it or Drop-it” game was held in partnership with Robinsons Appliances’ trusted partner brands. At present, Robinsons Appliances operates close to 100 branches in key locations nationwide.